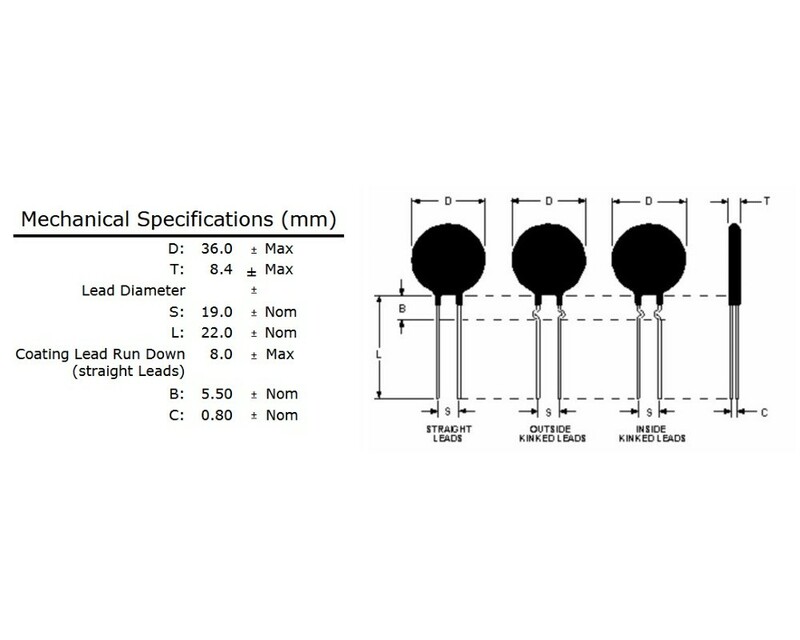 The MS15 40004 inrush current limiting thermistor from Ametherm offers a maximum steady state current of 4.1A (up to +25°C), resistance of 40Ω ±25% (at 25°C) and a maximum recommended energy rating of 135J. Ametherm's MegaSurge™ series of inrush current limiting NTC thermistors reduce costs and greatly simplify designs. In addition, they increase safety by eliminating the fire hazard associated with failed relays. While traditional thermistors are only certified for input voltages from 85 VAC to 265 VAC, UL recognised MegaSurge™ devices are certified for single and three phase input voltages up to 480 VAC. 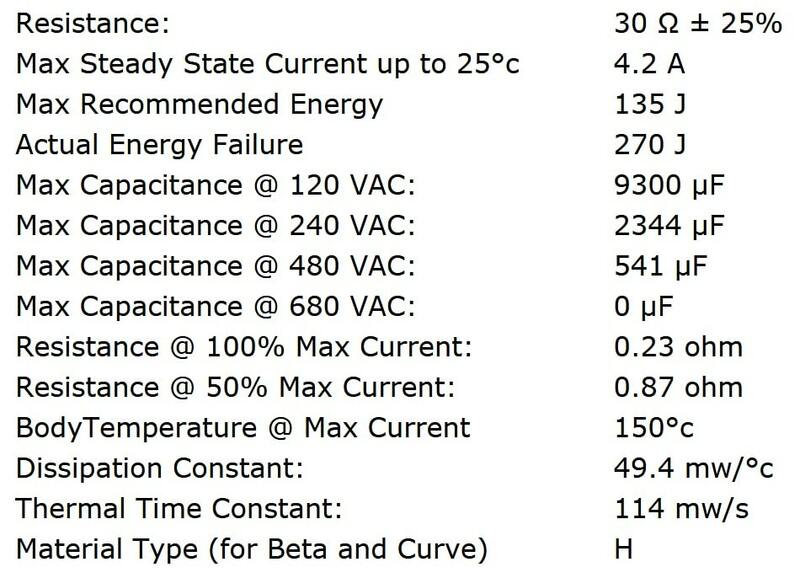 These specifications are the highest of any single-solution inrush current limiting device on the market. 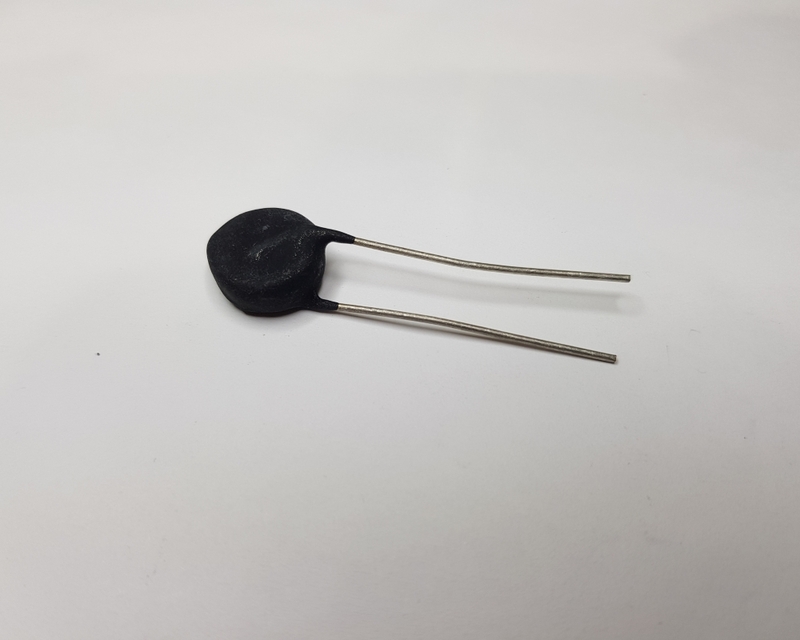 The MS22 10008 inrush current limiting thermistor from Ametherm offers a maximum steady state current of 8A (up to +25°C), resistance of 10Ω ±25% (at 25°C) and a maximum recommended energy rating of 200J. Ametherm's MegaSurge™ series of inrush current limiting NTC thermistors reduce costs and greatly simplify designs. In addition, they increase safety by eliminating the fire hazard associated with failed relays. While traditional thermistors ar.. 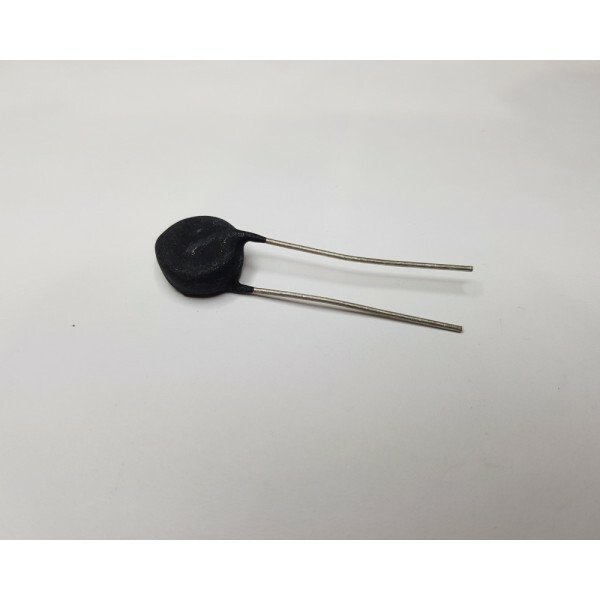 The MS22 12102 inrush current limiting thermistor from Ametherm offers a maximum steady state current of 2A (up to +25°C), resistance of 120Ω ±25% (at 25°C) and a maximum recommended energy rating of 220J. Ametherm's MegaSurge™ series of inrush current limiting NTC thermistors reduce costs and greatly simplify designs. In addition, they increase safety by eliminating the fire hazard associated with failed relays. While traditional thermistors a.. The MS22 12103 inrush current limiting thermistor from Ametherm offers a maximum steady state current of 3A (up to +25°C), resistance of 120Ω ±25% (at 25°C) and a maximum recommended energy rating of 220J. Ametherm's MegaSurge™ series of inrush current limiting NTC thermistors reduce costs and greatly simplify designs. In addition, they increase safety by eliminating the fire hazard associated with failed relays. While traditional thermistors a.. The MS22 22103 inrush current limiting thermistor from Ametherm offers a maximum steady state current of 3.5A (up to +25°C), resistance of 220Ω ±25% (at 25°C) and a maximum recommended energy rating of 75J. Ametherm's MegaSurge™ series of inrush current limiting NTC thermistors reduce costs and greatly simplify designs. In addition, they increase safety by eliminating the fire hazard associated with failed relays. While traditional thermistors .. The MS12 15102 inrush current limiting thermistor from Ametherm offers a maximum steady state current of 2A (up to +25°C), resistance of 150Ω ±25% (at 25°C) and a maximum recommended energy rating of 110J. Ametherm's MegaSurge™ series of inrush current limiting NTC thermistors reduce costs and greatly simplify designs. In addition, they increase safety by eliminating the fire hazard associated with failed relays. While traditional thermistors a.. The MS15 30004 inrush current limiting thermistor from Ametherm offers a maximum steady state current of 4.2A (up to +25°C), resistance of 30Ω ±25% (at 25°C) and a maximum recommended energy rating of 135J. Ametherm's MegaSurge™ series of inrush current limiting NTC thermistors reduce costs and greatly simplify designs. In addition, they increase safety by eliminating the fire hazard associated with failed relays. While traditional thermistors ..